Check the configuration of your website in WordPress admin area. Go to the Settings -> General. Check the ”WordPress Address (URL)” and “Site Address (URL)” values, URLs should be identical. Otherwise, the first thing that you should try to do is set identical URLs for these settings – both should be with or without “www”. Then please ask your system administrator to configure your server to make it work with both addresses – with or without “www”. When your server is configured incorrectly – server configuration recognizes these URLs addresses as different sites and doesn’t handle such requests, but this is the same site – so it should be configured the right way. For example, due to this issue the live preview or “File upload” option of Contact Form plugin can stop working. Or the Coming Soon plugin will not process your users’ subscription. We hope that you understand that you might have conflicts with your WordPress template or any other WordPress plugin that you use. We cannot control all developers of plugins or templates and they often make mistakes, whereas our plugins are being tested at least on 4 testing servers before each release. Nonetheless, errors in other code could cause problems in the work of our plugins. We are always ready to help you. You can always contact us via internal support and we will help you solve any of your problems. Some bad code – unfortunately, nobody is protected from rookie-developers, who can come up with a strange piece of code, which causes lots of problems. One side of this problem is missing hooks in your WordPress theme. Of course, it is not your mistake, but some themes can be created without wp_head and wp_footer parts of code. The thing is that you can’t solve it all by yourself if you do not have enough developer skills. Please, ask your programmers to fix it or just change the theme. WordPress conflict – Do not forget, that WordPress is constantly updating. All developers are trying to update their plugins and themes, but sometimes it can take a little time. Please, first of all, check if our plugin is compatible with your WordPress version. If you have the last and the plugin by Supsystic doesn’t work, please, deactivate it and contact us. Our developer department will solve the issue as soon as possible. For instance, due to new update of WordPress (4.5.2 Release) there was a problem with incorrect selector in a huge number of themes. You can read more about this error here. And this problem affected our plugins – because of incorrect selectors – theme script stopped working subsequently stopping the work of our plugins scripts. If you are facing with this problem – please contact the developers of your theme. They should fix the problem. 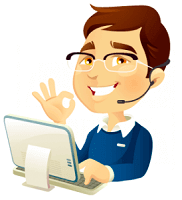 Or contact us through our internal support and we will help you to solve the problem. If you have any problems with plugin data appearance on front-end of the site – most likely there are some conflicts with styles of your theme or other plugins. It can happen that in the admin area you can see one color or font size of text, but on front-end this color or font size is completely different. This is due to the fact theme styles connect to the front end of the website. The problem is that browser determines the value for element styles with the highest priority from all styles from the page and applies exactly this value. Therefore, theme styles with higher priority can override the plugin styles on front-end of the site. Add these styles to the style.css file of your theme. Specify the required styles exactly on the page where you want to display the plugin. Please check the “FAQs and Documentation” section of the plugin on our website. There you can find answers to the most popular questions, some advice from us and our old-users and guides for rookie-users. Besides, you can visit our forums – almost definitely somebody has already got the answer to your question – Supsystic forum or the forum on WordPress.org. If you have cache plugins installed on your website – don’t forget to clear your website and browser cache each time you do anything with the plugins. The cached page version doesn’t show plugin changes. Please, make sure that you have the latest versions of our plugins. Just because we are trying to update them constantly and each new update features some new bug-fixes. Perhaps, your bug has already been dealt with! Sometimes the situation can seem really awful – you cannot reach the site or you see the white screen of death instead of the admin area page. If you see the admin area, but your site on front-end has some negative changes due to Supsystic plugin – please, deactivate it and contact us through our ticket system. White Screen of Death doesn’t allow you to even reach the admin area? Not to panic! There is a simple way how to solve the issue. First of all, connect to your FTP with an app like FileZilla. Then, make a backup of our plugin (which is located on the next path /website.com/wp-content/plugins/plugin-by-supsystic). Delete this folder and re-upload it manually. This action automatically deactivates the plugin on your site. If, unfortunately, you cannot find the solution to your problem using the tips from this article – feel free to contact us and don’t worry, everything is gonna be ok! And finally, remember that we are always ready to help you and we do it quickly, with pleasure and in the most efficient way possible.